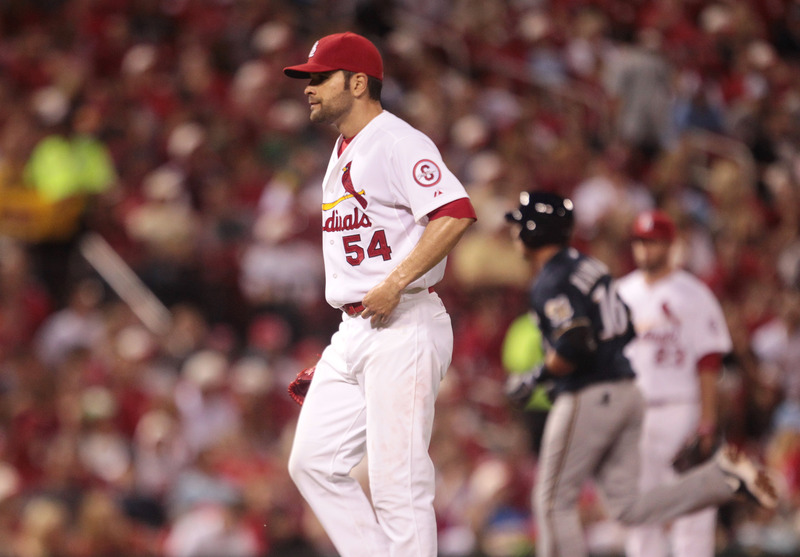 St. Louis Cardinals starter Jaime Garcia has been placed on the 15-day disabled list with a left shoulder strain. General manager John Mozeliak says the team became aware of the issue about a week ago and had hoped Garcia could work through it. He was charged with six runs and six hits over 5.1 innings (two Aramis Ramirez three-run homers) in a 7-6 victory over Milwaukee on Friday, improving to 5-2 while his ERA increased from 2.88 to 3.58. This is Garcia’s fourth trip to the disabled list, including a two-month stint during the 2012 season with a left shoulder sprain. St. Louis didn’t announce who would take Garcia’s place in the rotation. The NL Central leaders recalled reliever Mitchell Boggs from Triple-A Memphis on Saturday.